Reigate & Banstead District Sports Council recently awarded a grant to Redhill Bowling Club of £400 towards the cost of a new mower for their bowls green. 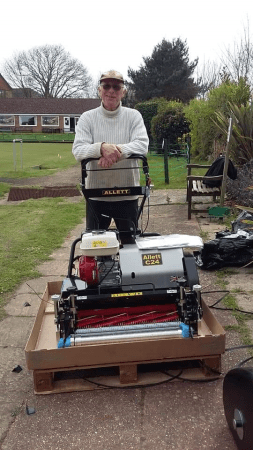 John Davison, Director & Treasurer of Redhill Bowling Club has confirmed that they have now taken possession of their new mower. Great photo! Thanks for the update.